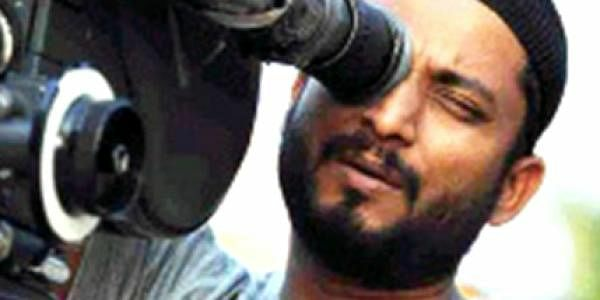 Director Anwar Rasheed talks about the changing trends in Malayalam cinema and what he looks for in his scripts. My latest film, 'Ustad Hotel', is a hit. I am happy about that. All the hard work has paid off. From the time the script was written till it hit the screen, I was out of the house. It took one-and-a-half years. So now I am spending time with my wife and children. 'Ustad Hotel' deals with human relationships and is a story of two generations: an old man (Thilakan) and his grandson (Dulquer Salman, Mammooty’s son) with widely different attitudes. This film is the coming of age of Dulquer. He has clearly moved away from the giant shadow of his father and established his acting credentials. Many people ask me how I select my scripts. When I listen to a story I look for simplicity. Thereafter, I ask myself whether it will appeal to the widest range of people. My mother rarely sees films on TV or in the theatre. I need to make a film where my mother feels the urge to come and see it. I would also have to make a movie for a person like me who is crazy about films. There are people who only come to the theatre if they read good reviews. This category has increased, thanks to the multiplexes. There are also members of the audience who like to watch new ideas and concepts. But, at the same time, there are many who prefer tried and tested ideas like a strong plot, melodrama, some humourous moments and melodious songs. These people comprise the majority. I don’t know whether this is good or bad. Recently, there are many writers who have been calling me with scripts they want me to read or at least have a hearing. To save time, I ask them to tell it to me on the phone. I cannot spend 24 hours on cinema all the time. I need to devote time to my family. Sometimes, I ask them to send a synopsis by e-mail. If I find anything interesting, I might meet the scriptwriter and hear the story again. Nowadays, people feel they can access the industry. Earlier, you had to go outside the director’s house and wait for hours before you got a chance to talk to him. Then you had to work as an assistant for many years. That was how I began. I am happy to see that things are opening up. Attitudes are also changing. A decade ago, it was important that your first film should be a hit, otherwise people would not accept you. For a hit to happen, you needed a good script and an actor who could draw in the audience, like superstar Mammooty. Today, if a first film does not do well, producers will say that the director has talent and therefore they will place their faith in him for the next film. In other words, he will get another opportunity. This is great. Talented people are getting a look-in. It will lead to a creative flowering in the Malayalam film industry.